The past week has really felt like a time of transition. On Saturday we ate stewed rhubarb over vanilla ice cream for the first time this year and the temperature hit 89 degrees today. Spring has most definitely given way to summer. My onion plants are still pretty tiny, but a few weeks ago they were so pale and spindly I couldn’t even see them unless I crouched down right next to the bed. Now they’re visible from a few yards away. I count that as progress. 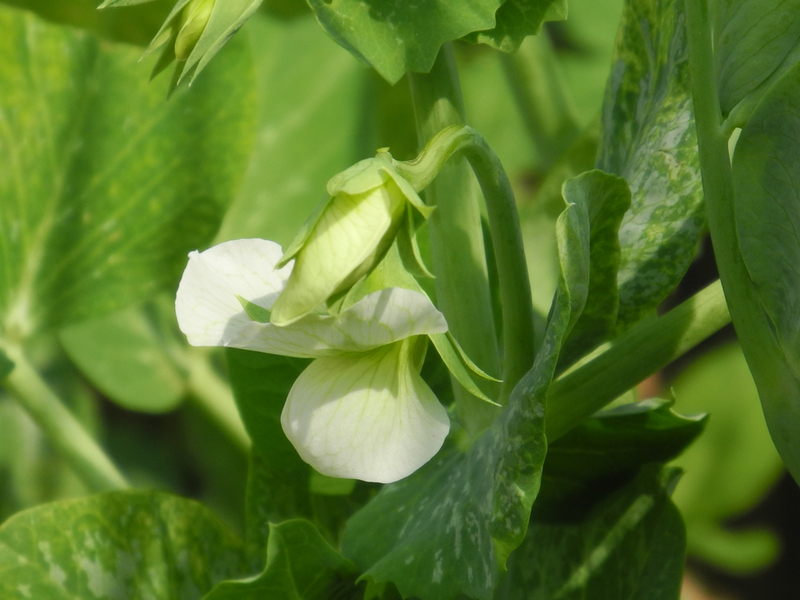 The peas are climbing their trellises and have just begun to flower. The fava beans look like they’re going to start blooming any day now. On Sunday I started planting my tomatoes. I like to remove the lower leaves and plant them nice and deep with a big scoop of compost in the hole. All those little hairs on the stem will grow into roots if they’re buried in the soil. In the flower border the last of the spring bulbs are beginning to fade. 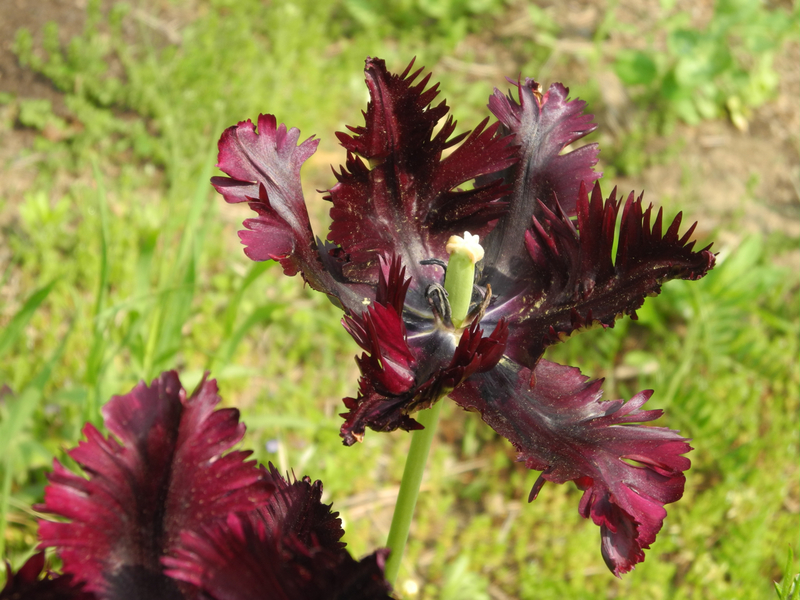 These are black parrot tulips. I still like the way they look even as their petals are about to drop. Next to bloom will be the Oriental poppies. In the past few days I’ve noticed quite a few of these big fat buds emerging from the foliage. 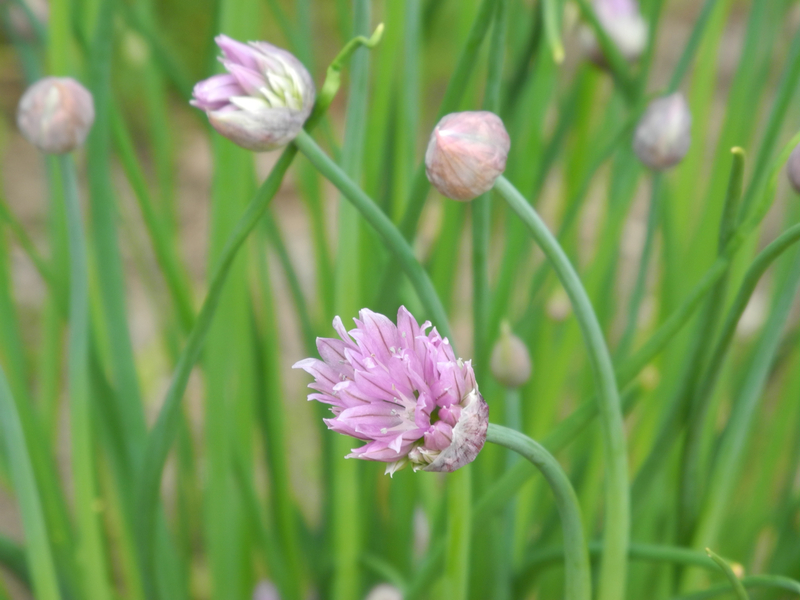 The chive blossoms are just beginning to pop open too. Last week I began harvesting lettuce and baby spinach. It’s so nice to be eating salads from the garden again! 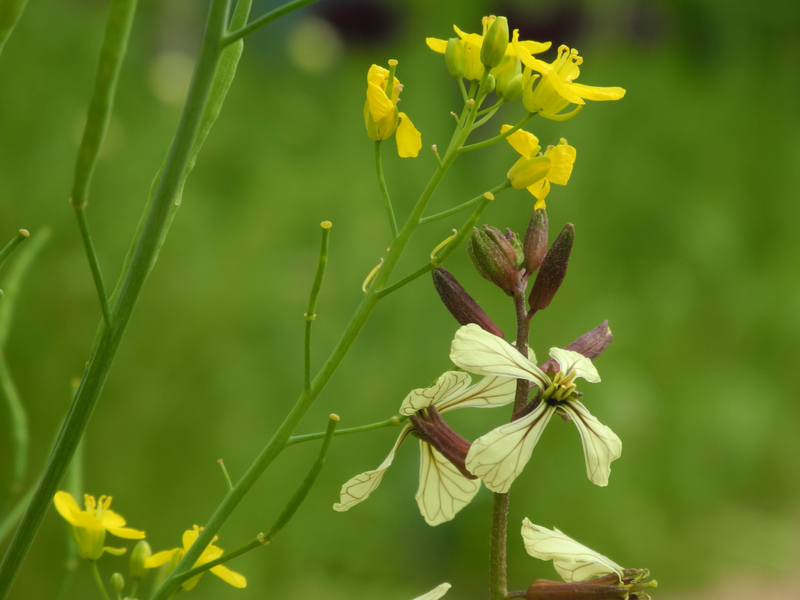 I think this one is Flashy Butter Oak from Wild Garden Seed. I never would have guessed a head of lettuce could be so beautiful. 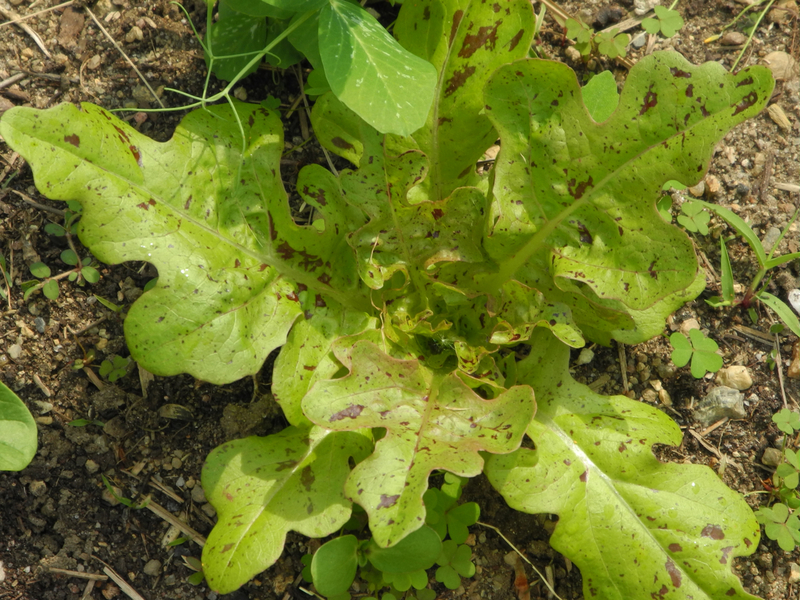 Just as the lettuce is coming in my fall-planted mixed greens are going to seed. Soon I’ll have to pull them up to make room for the rest of the tomatoes, but for now the bees and I are enjoying their pretty little flowers. I’m hoping to save some seeds from them too. Posted on May 21, 2013 by kate. This entry was posted in Gardening and tagged chives, gardening, greens, lettuce, onions, Peas, poppies, seed saving, summer, tomatoes, tulips. Bookmark the permalink. Did you get those bad storms last night? sorry about your peas! I think sometimes the chipmunks steal them before they even have a chance to sprout. We had a few thunderstorms yesterday and today but I think the worst of them passed by us. 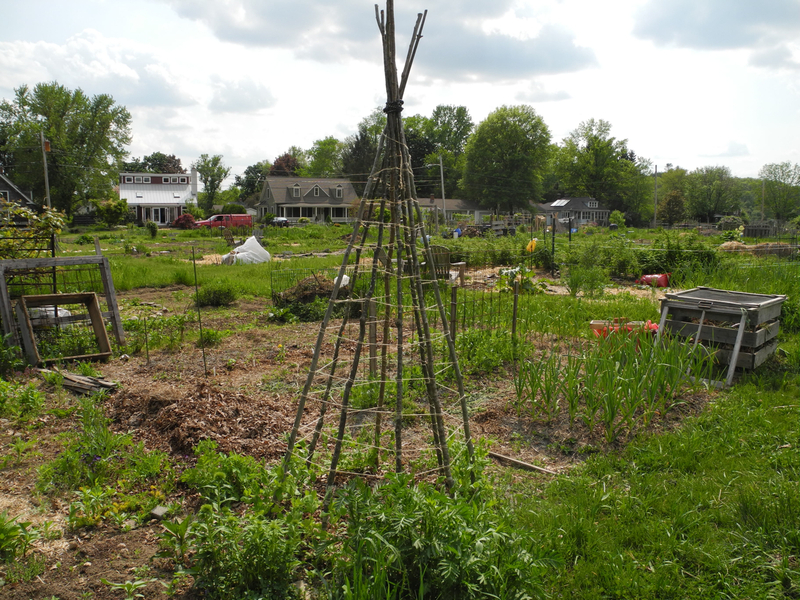 Your garden is looking great. We’ve had some lettuce so far. 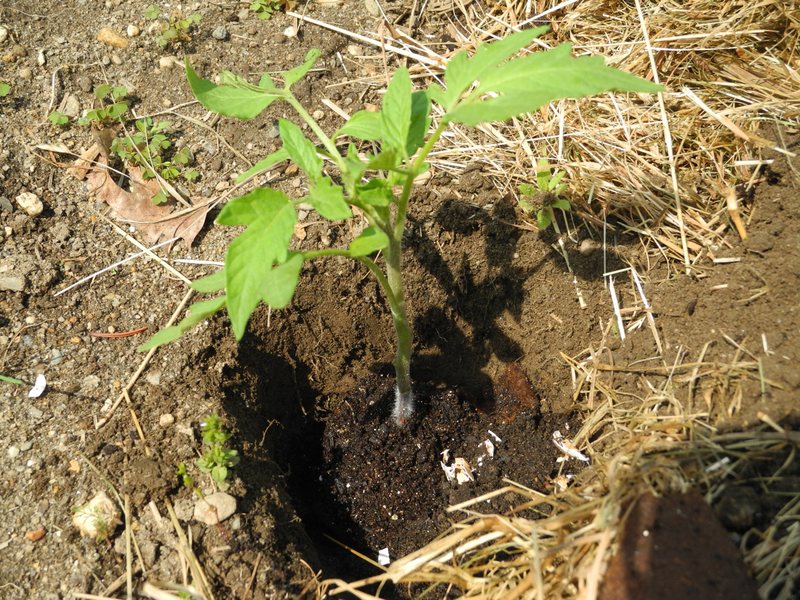 My tomatoes won’t go into the ground until the June but when they do, I plant them like you do. I think it really gives them an advantage during the growing season. Your garden looks great!! 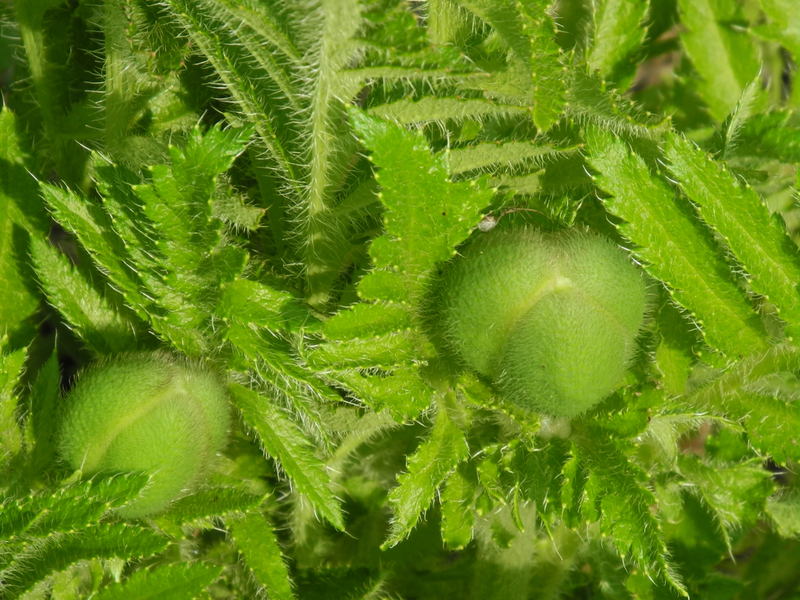 My poppies are starting to bud too – planted them last year, though they never ‘popped’… I’ve been afraid to transplant my tomatoes with the crazy weather we’ve been having! Any suggestions on onions? I’ve tried planting red onions this year, but no luck? Looking forward to seeing more photos of your garden. I agree, it’s so nice to be eating straight from the garden, isn’t it? Hope you had a good weekend – yeah for the sun today!! Thanks Jen! I got a few flowers from these poppies last year, but this year it looks like I’ll have loads of blooms. I think they need a year to get established. What happened with your onions? Did the seeds not sprout? I think onion seed is very short lived, so if your seeds didn’t sprout maybe they weren’t fresh? Last year my onions never got very big and I’m not sure why. I’m hoping to have better luck this year, but they’re still pretty tiny so we’ll see. . . The weather was so crazy last week! 90 degrees one day, and then barely 50 degrees a few days later! I was very glad to finally see the sun yesterday! so excited to finally to the sun too! yeah, not sure what happened with the onions? 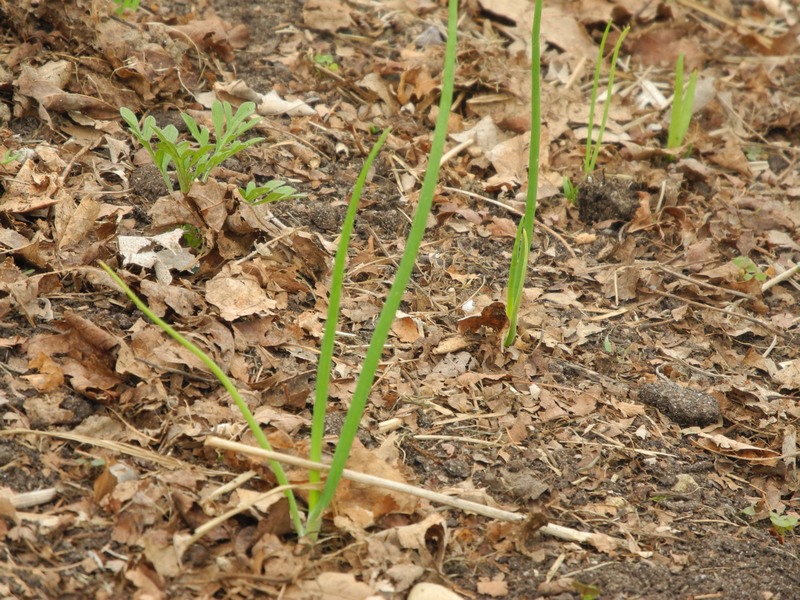 I bought them new, they were organic and I did what I thought I should…I’ll try again next year – hopefully my leeks make it through their transplanting…hope you have better luck with your onions!